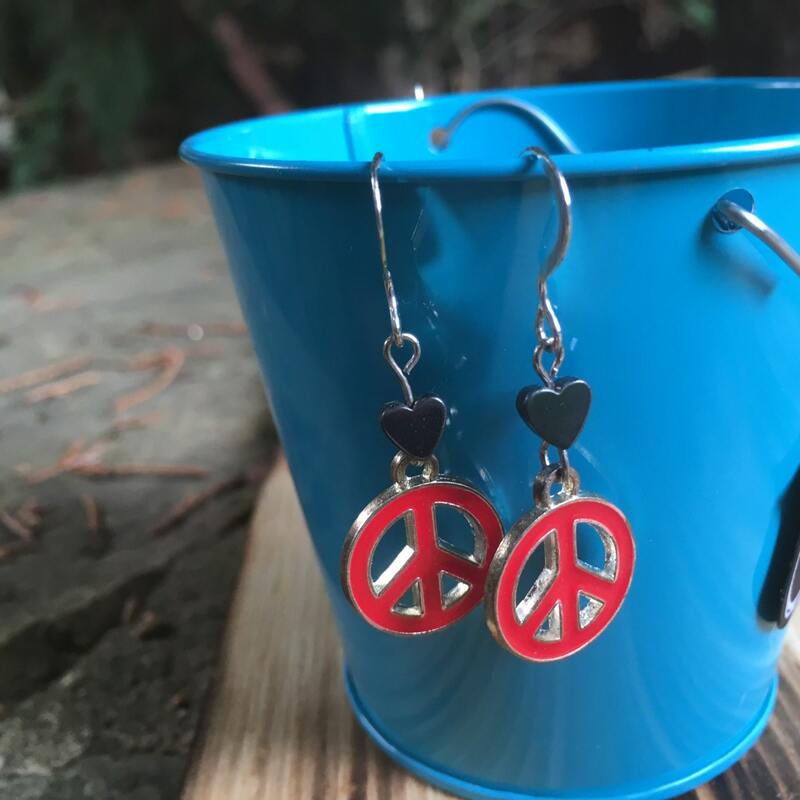 These peace sign earrings with hearts are a perfect statement piece. They are very light weight. You can customize the color of the peace sign. These earrings are hypoallergenic. The hooks are 15mm Sterling Silver and 21 gauge.